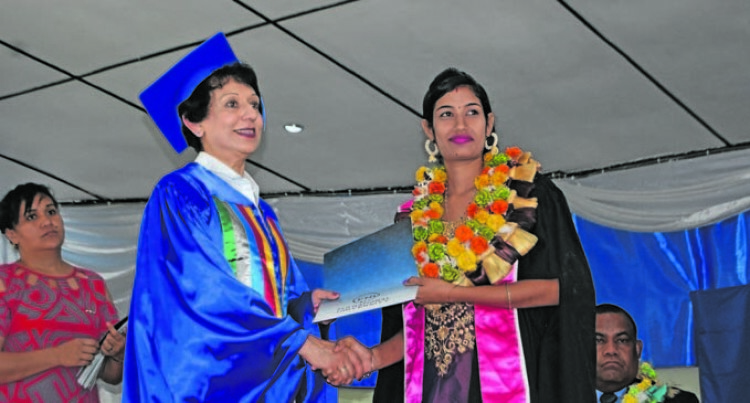 Fiji National University (FNU) Pro-Vice Chancellor Research, Professor Mohi­ni Singh, said the government’s initiative; the digitalFIJI pro­gramme would indeed help a lot of students excel in their academic career. “We are grateful to the Govern­ment of Fiji for its digitalFIJI ini­tiative which allows our students to access online portals from all campuses throughout Fiji,” Pro­fessor Singh said. She said that more students were now being provided with the op­portunity to interact on the online platform. “Advances in internet services and provision in Fiji mean that commercial broadband is cheaper and faster and FNU’s connection has enabled differentiated learn­ings among our students,” Profes­sor Singh said. “With connection to Arnet, the submarine cable connecting the Universities of Austral-Asia with those of North America gives us superfast broadband speeds on campuses throughout Fiji. She said libraries around Fiji had been converted from book deposi­tory systems to a flat-form that encouraged progressive learning. “From online shopping to access­ing e-government internet bank­ing services due to broadband and internet, our students at FNU are now engaging in e-learning and e-education,” Professor Singh said.